AAA Communications LLC is a authorized Motorola dealer that also carries other Motorola products and services. With offices in New York/New Jersey and California, AAA Communications provides rentals, sales and service of two-way radios and telecommunications equipment for TV, Film, Special Event and music touring industries. 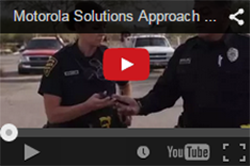 From two to 6000 AAA can fulfill all your onsite and wide area communications needs. AAA Communications also provides telephone systems for productions, from 2 extensions to 2000 extensions AAA can provide the equipment and service to keep your production or special event running with peak performance. With options like voice mail, direct ring downs and call cost accounting. ISDN and T-1¹s are the norm for us rather then the extreme. Total telecom engineering and planning is also available to our clients on a worldwide basis. AAA Communications uses state of the art equipment from Motorola and AT&T/ Lucent/Avaya. With factory trained technicians AAA Communications is a well rounded diverse and multi facetted communications company to handle all your mission critical needs.